It's clear that social media has grown dramatically over the last few years and that with more than 800 million active users, the number of Facebook users is easily more than twice the size of the entire population of the United States! Its growth has been astronomical and today, millions of people are posting more personal and business information online than ever before. It's happening at lightning speed with thousands of posts, tweets and uploads occurring every hour. There are hundreds of social networks online and quite a few huge social networks like Facebook, Twitter, Linkedin Instagram, Snapchat, Google+ and more. Social media sites are where your future clients are today. 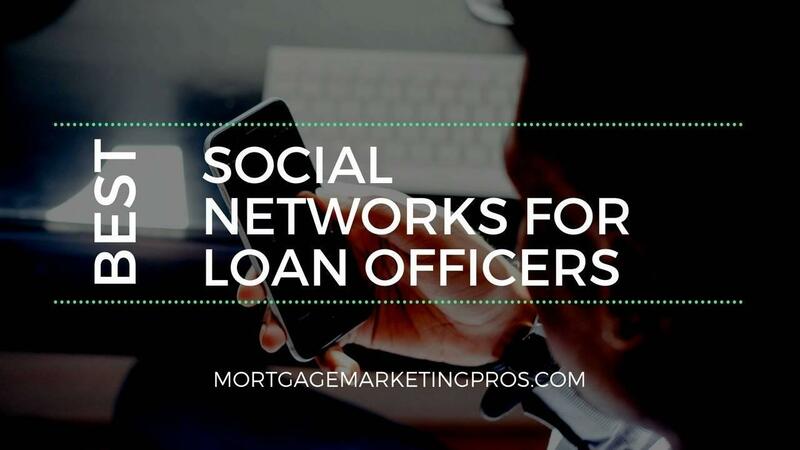 We all understand the power of social networks, but which ones are ideal for a loan officers marketing campaign?